That’s right folks, you read it here, one of my favorite Somerville hang outs – The Independent – is now doing lunch! They offer a few brunch options plus a little bit of their regular menu from 11 am to 4 pm daily. I went there on Wednesday with three coworkers to check it out, and we all agreed that it’s going to be one of our new regular lunch venues. 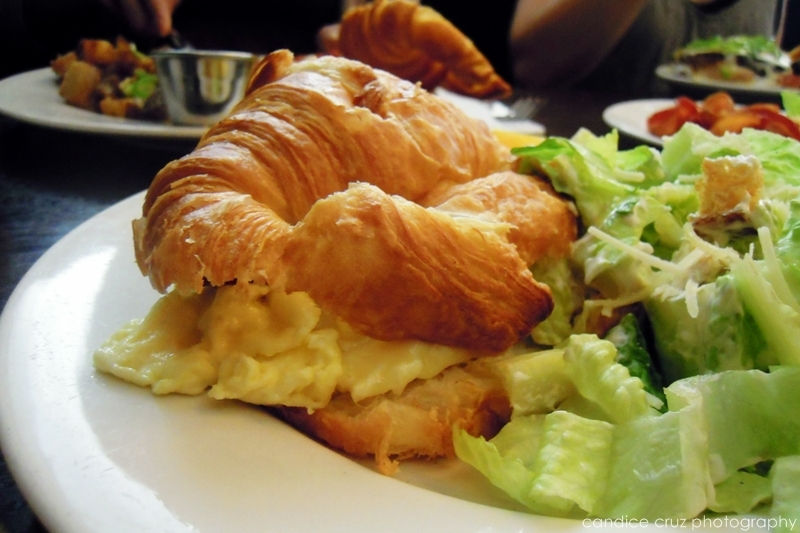 I thoroughly enjoyed the egg sandwich which was served with white cheddar and bacon on an Iggy’s croissant. The eggs were so light and fluffy, and it had a great contrast in texture with the delicious bacon. It’s normally served with home fries on the side but since I “can’t do potatoes” (<– why I phrased it like that to the waiter instead of saying “I can’t eat potatoes” is beyond me) I asked for a side of Caesar salad instead. I should ask this the next time I’m there (which, knowing me and my fondness for this place, will probably be sometime very soon) but I’m not sure if their Caesar dressing is housemade (i.e. sans corn syrup). It’s a little bit heavy on the dressing part so next time I might ask for a side of their brussel sprouts instead. The other dishes at our table was another egg sandwich (with the home fries), their Croque-monsieur sandwich, and a cheese and tomato omelet with a side order of beans. It was funny because they brought out a side order of bacon instead of the beans at first, and then luckily let us keep them anyway. One can never have too much bacon! 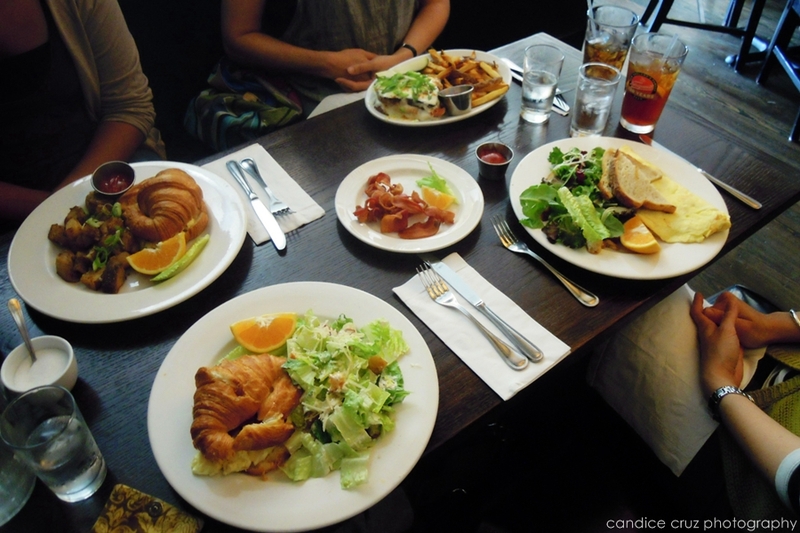 This entry was posted in brunch, food, independent, lunch, restaurant, somerville, union square by shortcakescraps. Bookmark the permalink.